Reviewing the main changes to this glove testing standard. The European standard EN 388:2016 – ‘Protective gloves against mechanical risks’ has now been published to supersede EN 388:2003. General-purpose protective gloves account for the largest market share of all personal protective equipment (PPE) sold and protect wearers from a wide range of hazards. To assist wearers with the selection of appropriate gloves, several European safety standards – including EN 388:2016 – have been developed, enabling levels of protection against different risks to be defined. These defined levels of protection enable appropriate gloves to be selected, based on the hazards and risks identified for a specific work activity. The EN 388:2016 standards are intended to be used in conjunction with EN 420:2003+A1:2009 – ‘Protective gloves. General requirements and test methods’, which is designed to ensure that the gloves themselves do not cause harm to the wearer and are comfortable to wear. EN 420 is currently under revision and will become EN ISO 21420 once the standard has been updated (anticipated to be in 2018 or 2019). EN 388:2016 specifies requirements, test methods, marking and information to be supplied for protective gloves against the mechanical risks of abrasion, blade cut, tear, puncture and, if applicable, impact. The test procedures include a separate test for each of these properties. A performance level is determined according to each test result – the higher the number or ascending letter, the greater the level of protection. Results are displayed using a pictogram (figure 1), permitting clear understanding of the capability of the glove. When compared with EN 388:2003, there is a major technical change to the abrasion resistance method, relating to the choice of abrasive paper. The abrasion resistance test is undertaken on a Martindale abrasion machine, in which specimens of the material (cut from the palm of the glove) are fitted to a rubbing head of fixed size and weight. This head is then moved in an elliptical motion over a table covered with 180 grit abrasive material (a change from the 2003 version, in which 100 grit is specified). 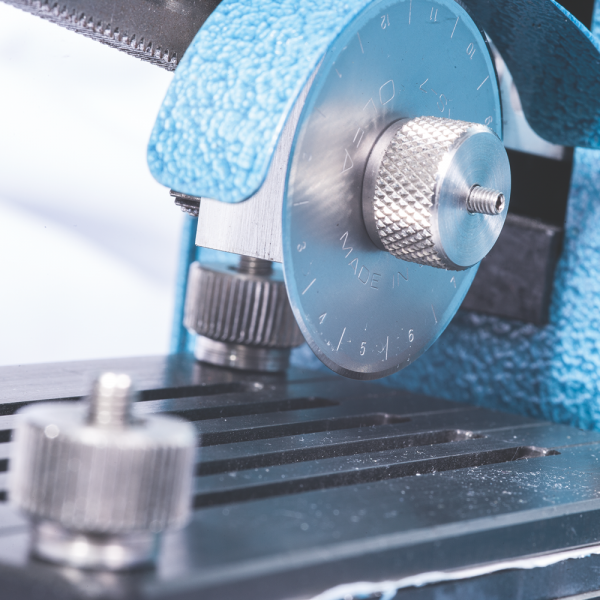 The alternative straight blade cut test method given in the 2003 version of the standard, ISO 13997:1999 – 'Protective clothing – Mechanical properties – Determination of resistance to cutting by sharp objects' is now fully included within EN 388:2016. If, during any individual circular blade cut test, the number of cycles to cut through the reference material increases by a factor greater than three or cut through has not occurred after 60 cycles, the ISO 13997:1999 cut resistance method becomes the reference test method for the assessment of cut protection. This test is alternatively known as the 'TDM cut resistance test' and can be carried out using a SATRA STM 610 cut resistance evaluator. There have been no major technical changes to the puncture resistance method between the standard’s 2003 and the 2016 versions. Once again, test specimens are taken from the palm of the glove and, in the case of multiple, unbonded layers, the layers are assembled and tested together as they would be in the glove. 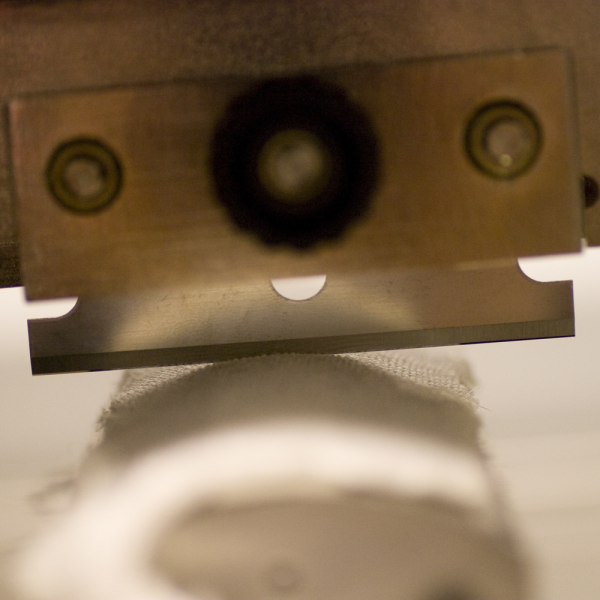 The test uses a standard, rounded stylus which is pushed 50mm into the specimen at a constant speed of 100mm/min using a compression test machine. The maximum resistance force is recorded. Performance levels are based on the lowest of four test results – defined in EN 388 as being from level 1 (with a puncture resistance force of between 20N and 60N) to level 4, which has a measured resistance of at least 150N. For gloves made from composite or specialised materials and intended for specialist applications (such as protection against hypodermic needles), the standard puncture test stylus is too thick. SATRA offers a test which uses a needle, as opposed to the wider stylus. Manufacturers and suppliers will be keen to offer gloves that are certified using the latest version of the standard. Indeed, due to the new PPE Regulation, after 21st April 2019 it will be illegal to place gloves for mechanical protection on the EU market that have not been certified against the state-of-the-art (that is, EN 388:2016). With the introduction of a second rating for cut resistance and an optional rating for impact protection, there will no doubt be some confusion for people involved in the selection of gloves and some explanation or support may be required. As a Notified Body and an ISO 17025-accredited laboratory, SATRA is well placed to help glove manufacturers and suppliers with this transition. SATRA also manufacturers many of the test machines used for these glove tests and can set up in-house, certified testing laboratories for customers carrying out ongoing quality control and product development. Please email ppe@satra.com for further information on the testing and certification of all types of PPE.